Warm summer breeze whisks across the deck into the garden on the best days. In the most authentically-Provincetown late afternoons in summer, cool air kicks off the harbor at happy hour, lapping gentle waves against the seawall below. In winter, you'll be happy to step through the white-trimmed door, out of the snow, and into a room warmed by a fire built in the one-of-a-kind brick fireplace whose chimney twists up the wall. 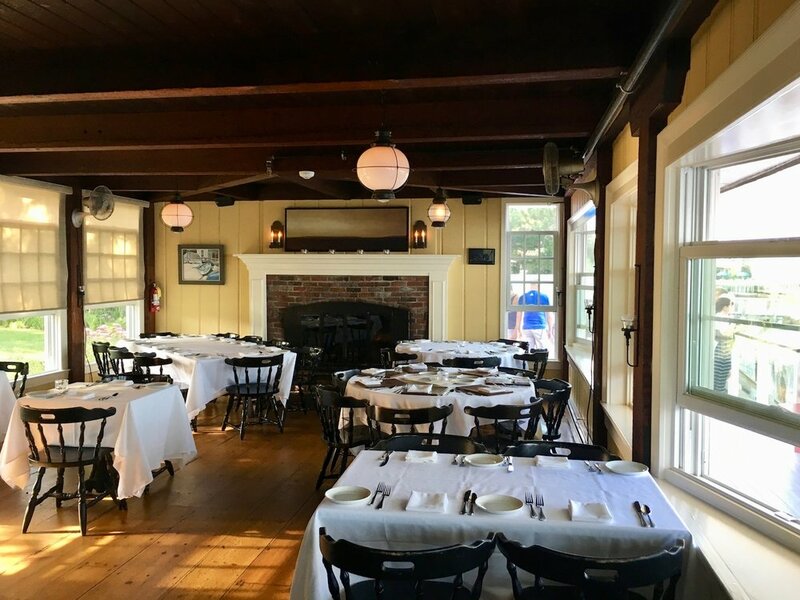 A haven for all seasons in a town that lives for summer, The Red Inn in Provincetown, Massachusetts -- on Cape Cod -- remains one our favorite places anywhere to draw down a bottle of wine alongside some of the most exquisitely prepared dinners we've ever experienced. There's more on the menu, but let's be honest, we came for the scallops and the halibut (when we find it on special). Our Bordeaux-based wine and travel writer friend Jennifer, of Luxe Adventure Traveler, recently asked their legion of Facebook followers to share the "most amazing" restaurant to which they'd ever been. Interesting reading in the responses listing bistros, taverns, and dives from South Africa to Hungary to Russia and the United Arab Emirates. California, too. Virginia even got a shout from an admirer of the Inn at Little Washington. My award goes to a trifecta in America's northeast: Joselito in Washington, Chimichurri Grill in New York, and The Red Inn. I made my first reservation here years ago while riding a train out of New York one afternoon. Once, on the occasion of our "church wedding" (four days before the one with guests), we drove from "home" from Connecticut to Provincetown where we sat down for our dinner reservation here, Meghan in her dress and I in a less remarkable blazer and tie. It was a splendid evening. 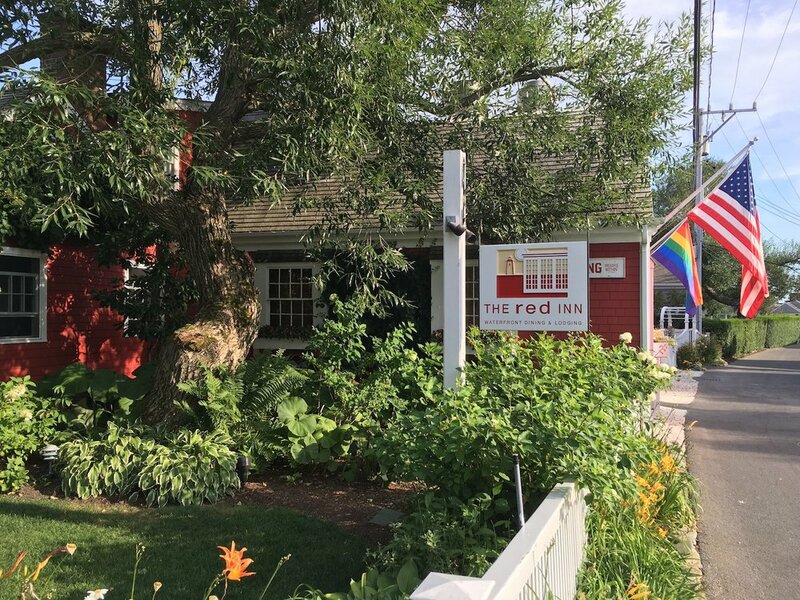 The Red Inn is no secret, well regarded by over a century of Provincetown visitors that once included President Theodore Roosevelt. We've never stayed in the inn itself, but the restaurant is the object of great affection on the part of the town's thousands of visitors each year. Raw bar happy hour runs daily from 2:30 to 5:00 when you'll find deals on oysters, shrimp, lobster sliders the memory of which make my mouth water from 500 miles away, and more on an afternoon menu meant for a bottle of something sparkling, or rosé. There are four distinct parts to the space itself. 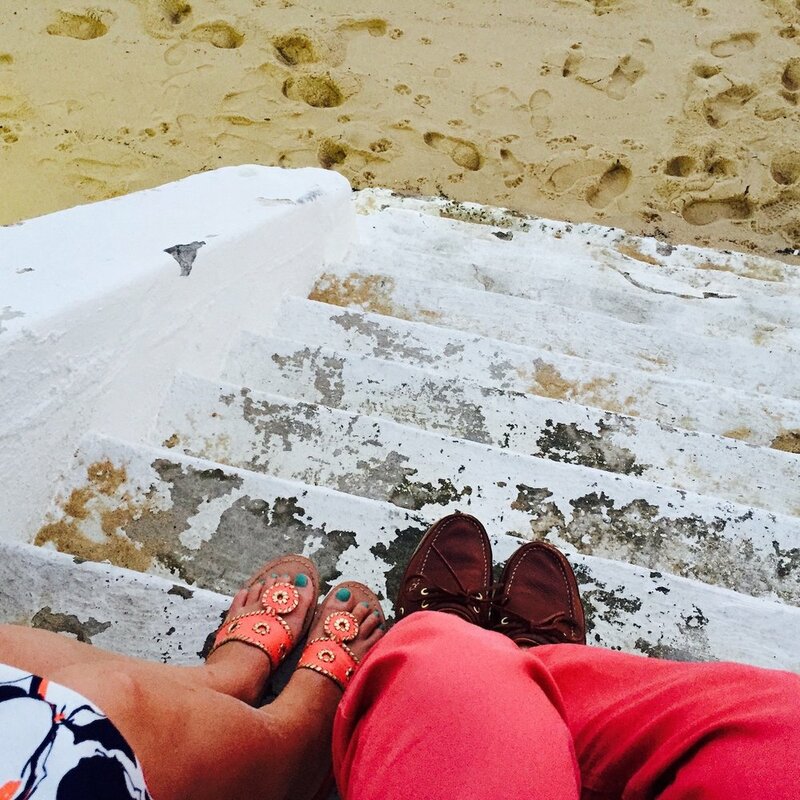 You'll find the outdoor deck along the narrow beach leading down to the harbor. This is the place to spend happy hour when the weather is warm, rocking in a chair and sipping your Prosecco. The bar area inside splits two rooms possessed of their own personality, a fireplace at the end of each. One beneath exposed wooden beams is where I'd spend a rainy day or a winter's night. The white clapboard ceiling in the other conjures summer. Both are filled with revelry makers year round, whenever the place is open. Both feature sweeping views of the harbor beyond. We're fond of the scallops with citrus beurre blanc -- perhaps with a little crab mixed in -- and we love the choice between chef-curated menu options alongside an invitation to pick your fish, starch, and sauce. The lamb is also quite good. Get yourself started with cranberries and delicious greens in the Red Inn Salad. Everything here is deliciously prepared. The wine list is just a page, but we've consistently found it to be excellent. Blindfold, the white wine cousin to The Prisoner, by Orin Swift, was our go-to bottle here for years thanks to how well it paired with the variety of dishes on offer. We've more recently been dabbling heavily in the couple of rosé choices, and we always, without fail, kick things off with a glass of something sparkling. The festive yet elegant feel of the place begs that you begin there. 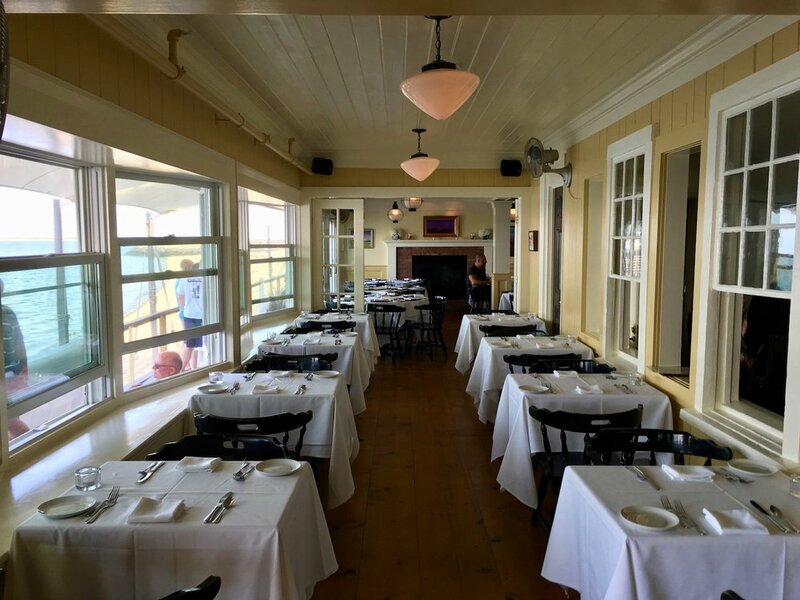 We're soon off to dinner there, in fact, celebrating our anniversary as we always do: a table for two at The Red Inn, glass of wine in hand, sun setting over the harbor, surrounded by the best that one of the towns we call home has to offer. Go see for yourself.